Lots of smoke, noise and laughs! 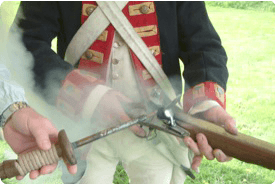 Our instructors, in period shooting costume, bring a wide selection of antique weapons including flintlocks, muzzle-loaders and blunderbusses. They explain their development and history before the guests shoot them, under supervision, at a variety of targets. This activity is always popular, as there is lots of noise and smoke, as well as giving a fascinating insight into the history of the weapons used. 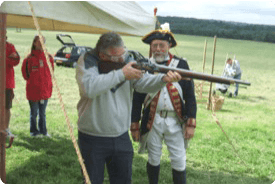 Blackpowder shooting can last from 1 hour to half a day and is perfect as a pre-lunch or pre-dinner activity or break out session. 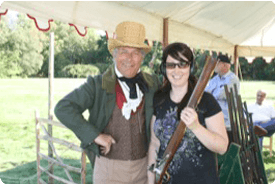 Supplement with other Country Pursuits or Motorised activities for a full day event.